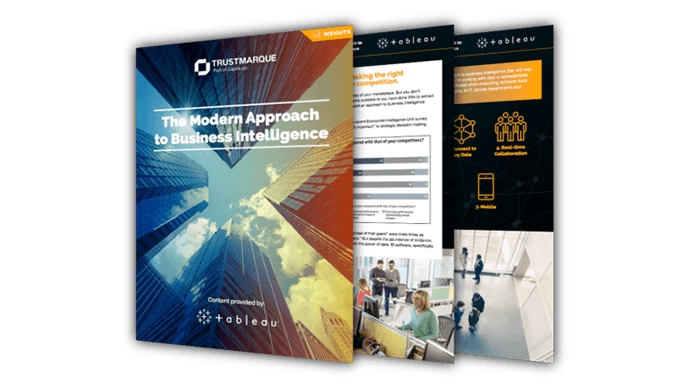 Download the report detailing the seven key attributes of the modern approach to business intelligence that will help you quickly see, understand, and share analytics. Your organisation has plenty of data, and you understand the nuances of your marketplace. But traditional approaches to business intelligence are too slow, inflexible, and expensive. You need an approach to business intelligence that is governed and scales yet allows your business users to ask and answer their own questions with data. Whether you’re working with data in spreadsheets, warehouses, or across disparate data sets, consider these attributes when evaluating software tools to empower your entire organisation—from executives to analysts, to IT, across departments and geographic locations, in the office and on the go. If you are short on time and are expecting more from business intelligence now, for a quicker read why not download our infographic Seven Key Attributes of Business Intelligence.